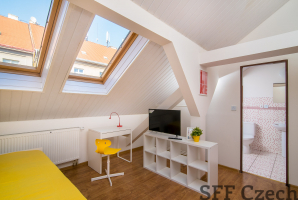 The short term (minimum 3 months) or long term rent of furnished studio apartment in Praha 4 - Nusle located close to Náměstí Bratří Synků which is just about 5 minutes from I.P. Pavlova / Muzeum (metro red line C or green line A) and business district Pankrac and Brumlovka. 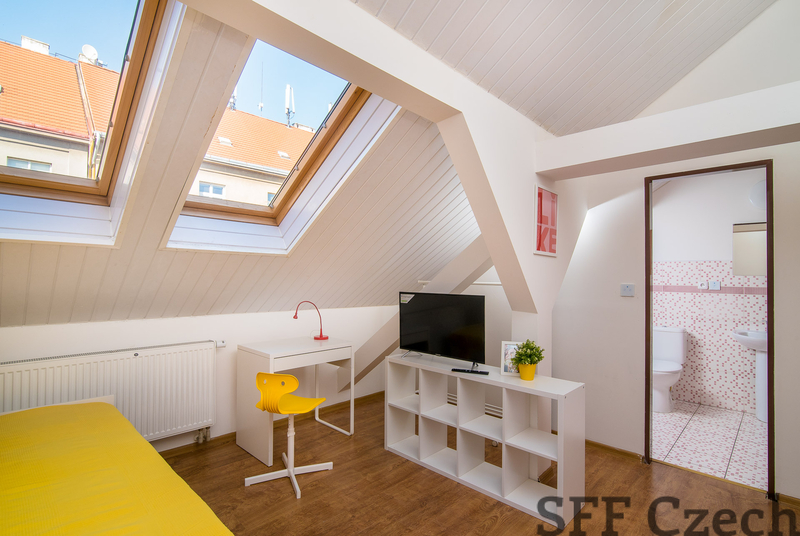 The attic studio flat after new reconstruction of size 25 sqm. consisting of main room with kitchenette (equipped with microwave, fridge/freezer, cooker, kettle, dishes), bathroom with a bath-tub, toilet and washing machine/dryer. The flat is furnished with double bed (extendable) ,bedding, wardrobe, sofa, dining table with a chairs, TV and other small equipment. 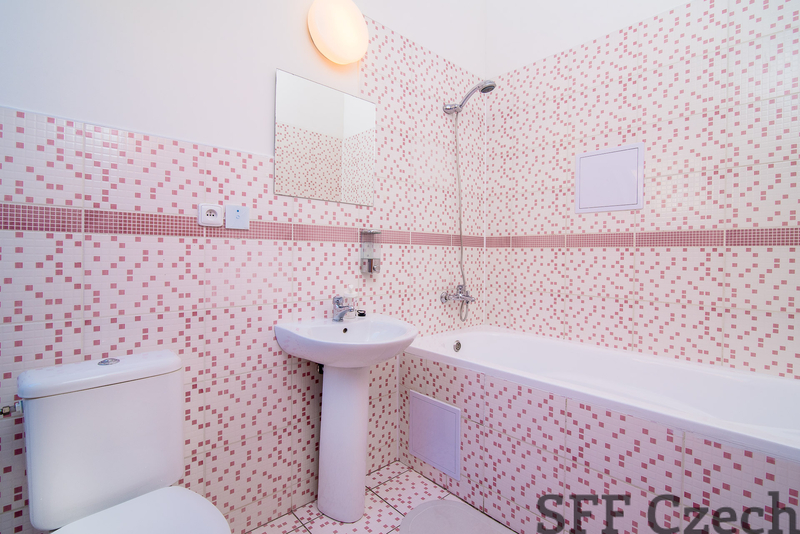 In short walk distance all amenites, post office, restaurants, health centre, pharmacy, cafes, tram stop (tram no. 14, 6, 11, 12, 4, 7, 17, 24, 21, 17), I.P. 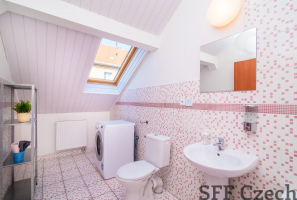 Pavlova only 6 minutes away by tram, grocery, Dr. Max, restaurants, bank, theater and more. 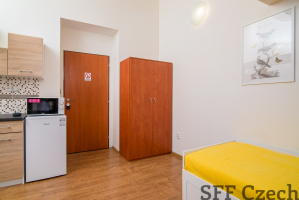 By tram Vyšehrad only two tram stop away, where is metro red line C. Suitable for individual or couple. Monthly rent: 16.900 CZK including all utilities and Wi-Fi high speed internet (from UPC). 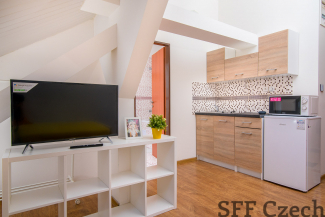 Refundable security deposit required equal to one month rent. Commission: based on rental period.